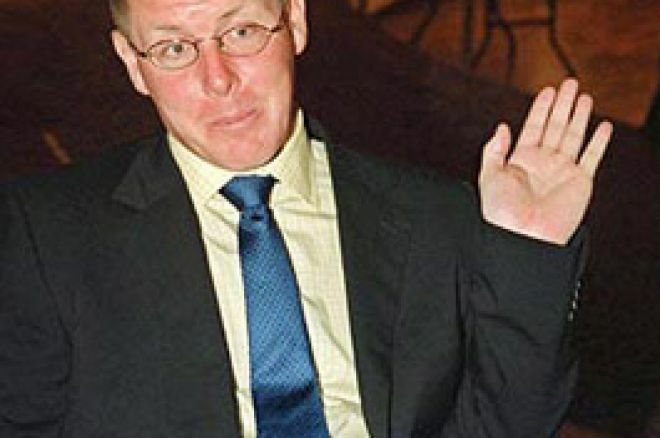 Renowned 'Rogue Trader' Nick Leeson has returned to gambling in the form of online poker. Currently playing as a professional on Celeb Poker, Leeson is reported to have made in excess of $25k within his first month of play. The infamous Leeson gained notoriety in 1995 when his fraudulent gambling exploits on the Asian market resulted in the collapse of Barings, Britain's oldest merchant bank. After amassing Barings a mere $1.3 billion in trading losses, Leeson left Singapore and fled to Malaysia and Brunei. An eventual arrest in Germany led to his extradition back to Singapore where he was forced to serve a six and a half year prison sentence. Following his release from Changi Prison in 1999, Leeson returned to the United Kingdom. He then went on to publish a bestselling autobiography, 'Rogue Trader', which was later translated into a feature length film starring Ewan McGregor. Now residing in County Galway, Ireland, Leeson has found his niche in online poker, chiefly operating on the Celeb Poker site. As the home of the poker celebrity, the site boasts familiar faces such as cricketer Ed Giddons, American actor Lou Diamond Phillips, and former Eastender Michael Greco. With such an extensive list of names associated with the brand, the everyday player just never knows when he might cross swords with the likes of Leeson. However, according to his current form, challenging him at the poker table would prove to be a costly affair. Ed note: You don't have to be a celeb' to take on the rogue trader. Join Bet Direct Poker to play at Leeson's table and earn a £25 bonus.